Jon Snow Dancing To ‘Malhari’ & Daenerys Bargaining In Lilly Singh’s Desi ‘GoT’ Has Twitter ROFL! My absolute favourite pick-me-up, whenever I’m feeling down and out, is Lilly Singh aka Superwoman. I just can’t wait for her show ‘A Little Late with Lilly Singh’. But until then, I have her hilarious videos to keep me company. Be it her accurate portrayal of Punjabi-ness with Diljit Dosanjh or her re-imagining of Bollywood songs in the form of woke raps, she never fails to crack me up. Her latest spoof is no different. 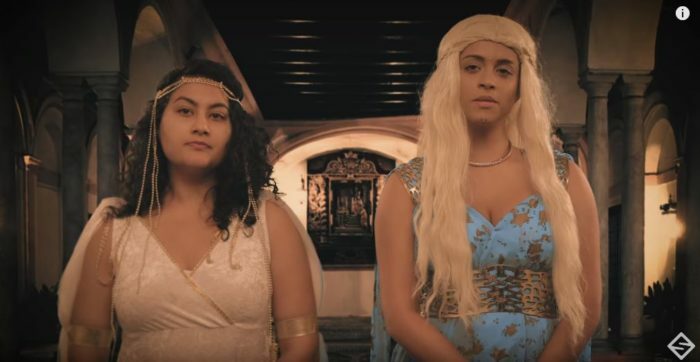 She showcases what ‘Game of Thrones’ would be like if it had some desi tadka! Daenerys aka ‘Mother of Peacocks’ bargains like a Delhi auntyji. 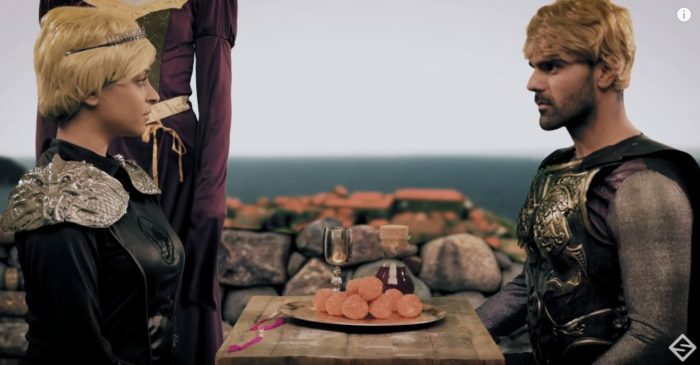 Cersei and Jamie Lannister celebrate their sibling bond during Rakshabandhan. Check out the entire rib-tickling parody with a dance sequence and more Indian jugaad! With the final season of Game of Thrones airing tomorrow, this is exactly what the desi fandom needed. Jon Snow’s Indian avatar dancing to the song ‘Malhari’ from ‘Bajirao Mastani’ has to be the most epic Bollywood x GoT crossover in history. Hands down! The immensely relatable spoof has Twitter ROFL-ing. I don’t know who will die and who will survive in the battle for the iron throne. Maybe the Night King will emerge as the victor. Or it might be the Starks. What I know for sure is that if my favourite character is killed, I can watch Lilly’s parody to get over it.